The company design and fabricate mud tank, brine tank, all types of trailers, including flat bed, low bed, special oil field trailers for rig site purpose, vacuum tankers, storage tanks and allied equipments for batching plants, block plants etc. 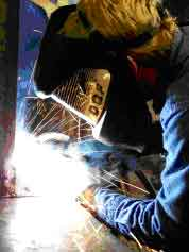 ; design and fabrication of various types of mixing tanks for rig well test units. The company’s focus on continuous quality improvement has helped it to retain its position as the leading fabrication company in Oman. For each the fabrication work the company does, the concept of ‘Value Addition’ has helped it to be associated with some of the leading multinational companies in Oman. Our long list of credible customers also includes Ministry of Defence and PDO (Petroleum Development Oman. The increasing demand for quality refurbishment of earth moving and construction equipments in Oman has motivated us to start a unit for the same. Here we have the facility for complete refurbishment of equipments under one roof. The facility also including overhauling components and rebuilding it, repair of body chassis and under carriages of heavy equipments, manufacturing of hydraulic cylinder ramps and repair of hydraulic system. 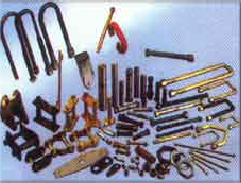 The company also has a ‘Fastener manufacturing unit, which Manufacturers all types of bolts, nuts, washers, centre bolt, u-bolt etc. In addition to this it also has the facility to manufacture propeller shaft, spline hubs and chassis parts like shackles, mounting, equalizers etc. The company has the credit to establish the first ‘Automotive Spring Leaf’ manufacturing unit in Oman. 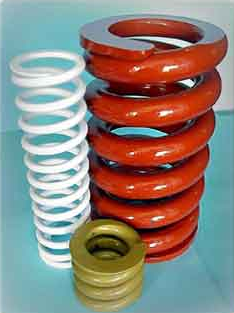 This unit manufactures all types of automotive spring leaves and coil spring of all dimensions. With the full set up of various type of furnaces, modern equipments & a laboratory. We are the pioneers of manufacture spring leaf in Oman. The company design and fabricate mud tank, brine tank, all types of trailors, including flat bed, low bed, special oil field trailors for rig site purpose, vacuum tankers, storage tanks and allied equipments for batching plants, block plants etc. ; design and fabrication of various types of mixing tanks for rig well test units. The company’s focus on continuous quality improvement has helped it to retain its position as the leading fabrication company in Oman. For each the fabrication work the company does, the concept of ‘Value Addition’ has helped it to be associated with some of the leading multinational companies in Oman. Our long list of credible customers also includes Ministry of Defence and PDO (Petroleum Development Oman).